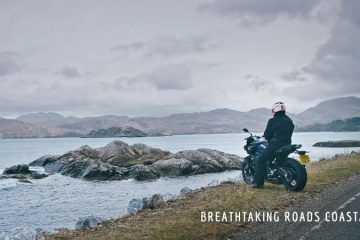 There are many, many great roads in the UK, but there are few that attract bikers in the same way that Scotland’s Bealach na Bà does. 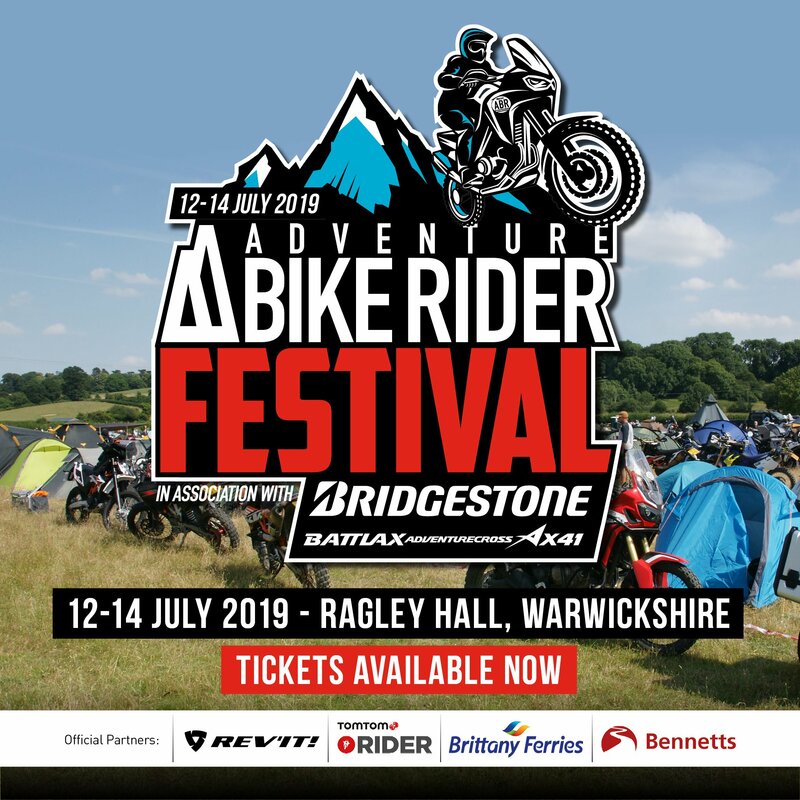 With the greatest ascent of any road climb in the UK (from sea level at Applecross to 626m at its summit), it’s been a Mecca for British riders for as long as two wheeled travel has been a leisurely pursuit. 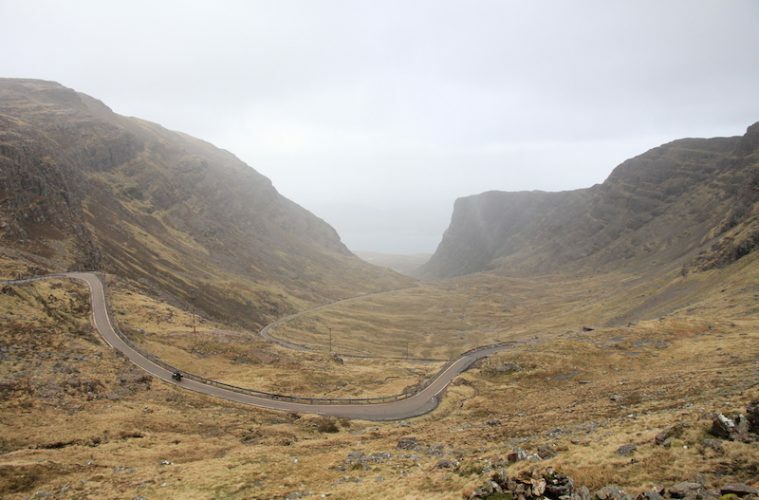 The road, which is roughly 80 miles north west of Fort William, is called many things, Bealach na Bà, The Pass of Cattle, Applecross Pass, and it is just 20 miles from start to finish, but this road of many names has gained an iconic status. 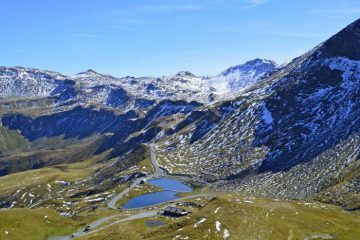 Narrow, occasionally gravelly, with alpinesque hairpins, it is a road that begs to be ridden. 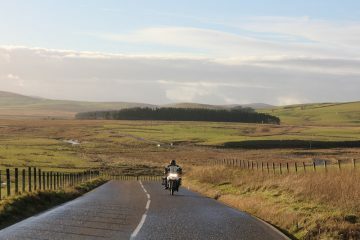 And ridden in both directions, although southbound is best, but don’t start at the beginning of the pass. 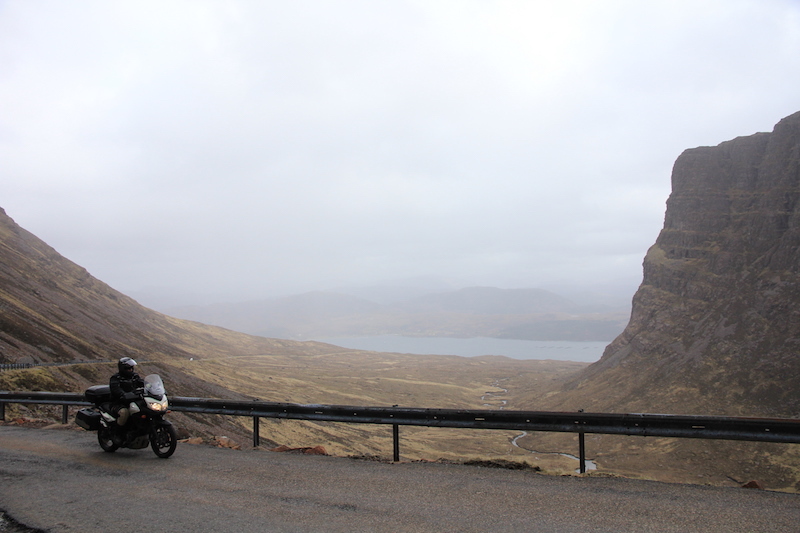 Start at Shieldaig and hug the rugged, Scottish coast to Applecross. Fast, narrow, twisting but open single track along the tops of the sea cliffs doubles the length of this route. It will warm your tyres and your blood, but beware the Highland Cattle. 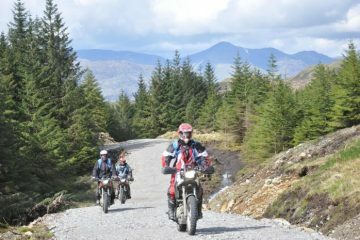 This is their domain and weighing in at roughly twice an R1200GS they are not to be messed with. Stop in Applecross for a coffee or fill up at the community petrol pump – please do, it helps fund the pump, which can be a lifeline to the village – then begin your ascent over the pass. 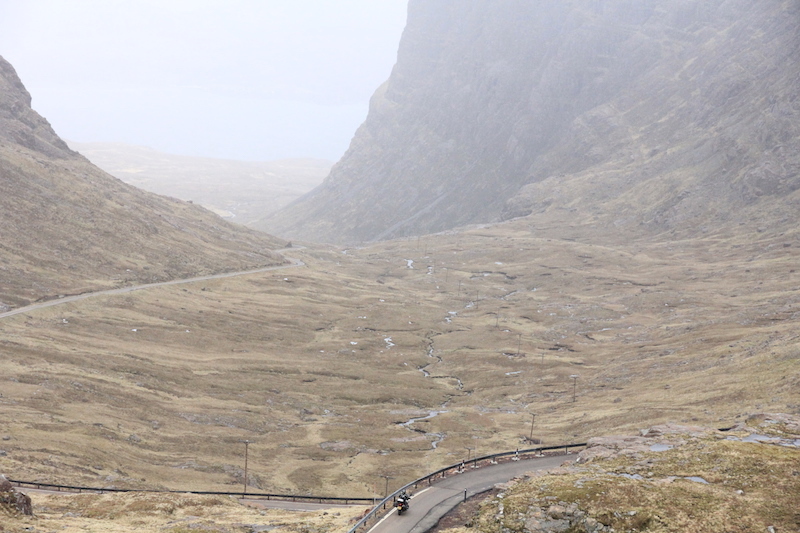 Applecross sits on the water and the climb from sea level demands your attention instantly. 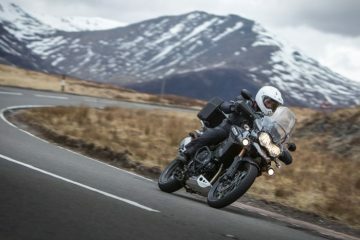 The inclines approach 20%, and while there are steeper in the UK, when you combine this with tight turns as it rises from the shore you’ll need to have your wits about you and be in the right gear and in the zone. As you climb higher take a moment to enjoy the views, assuming it is not either foggy or raining, both pretty common occurrences. Looking west, you can see is the Isle of Skye. But don’t spend too long admiring the view. Great roads attract lots of users, so in season expect other bikes, motorhomes, cyclists and, last time I was there, the Lotus owners club. 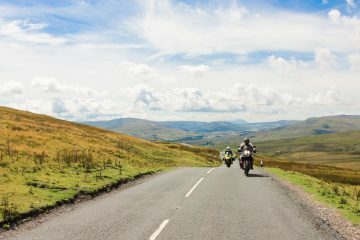 If your run gets baulked by traffic, or a rental motorhome that can’t reverse and has no concept of width – his or the road – the great thing is it’s only 20 miles. Go back and try it again. You will not regret it.